STX Entertainment has released the trailer and poster for their latest horror movie The Bye Bye Man, starring Carrie-Anne Moss, Faye Dunaway, Douglas Smith, Cressida Bonas, Lucien Laviscount and Doug Jones. People commit unthinkable acts every day. Time and again, we grapple to understand what drives a person to do such terrible things. But what if all of the questions we’re asking are wrong? What if the source of all evil is not a matter of what…but who? 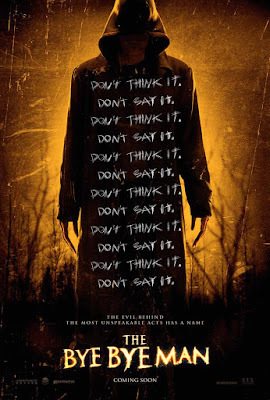 When three college friends stumble upon the horrific origins of the Bye Bye Man, they discover that there is only one way to avoid his curse: don’t think it, don’t say it. But once the Bye Bye Man gets inside your head, he takes control. Is there a way to survive his possession? The Bye Bye Man hits theaters on June 3, 2016.